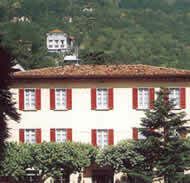 Cernobbio hotels range from super-expensive to super-budget. 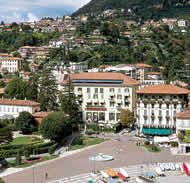 Located 8km outside Como, it offers more romantic scenery and peaceful tranquility than its more cosmopolitan neighbor. Now you can do a search to compare the rates of all Cernobbio hotels by choosing your preferred dates from the search box below OR you can browse through all the hotels listed below. 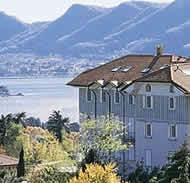 Location: Right on the lake and in a remote part of Cernobbio surrounded by lavish gardens. Description: Breathtaking views from your room and breathtaking scents from the outdoor park. This grand hotel is only for tourists who crave “old-world” charm, a palatial atmosphere and are willing to pay a premium price for a lake view room. Location: Very close to the lake overlooking the charming lakeside promenade. Description: Splendid views from your room which are fashionably furnished and include a balcony. Rooms facing the busy Via Regina street can be a bit noisy. 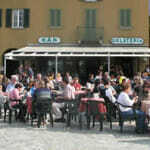 Location: On top of a steep hill 3 km from Cernobbio town center. A car or taxi (about 10 euros one way) is essential. 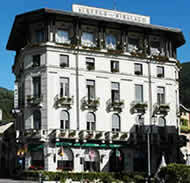 Description: A nice hotel with a 19th century aristocratic feeling. Enjoy heavenly views from the lake view rooms. Swimming pool, solarium, and internet wi-fi among other amenities. 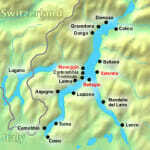 Location: 50 meters from the lake in the historical center of Cernobbio. 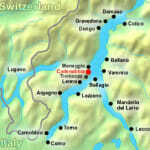 Description: A nice Cernobbio hotel and good value for your money. Very small rooms but clean and tidy. Be sure to ask for a room at the back as the front rooms overlook the busy street. No elevator…try to get the first floor. 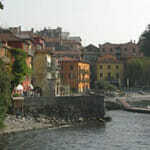 Location: Right on the lake next to the central Piazza Risorgimento square. Description: Old-fashioned and charming hotel with a friendly and helpful staff. Be sure to reserve a lake view room with balcony. A helpful shutter system blocks out sunlight and noise. No Online Booking Available. 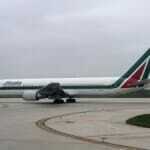 Call +39 031 510125 to check rates/availability. 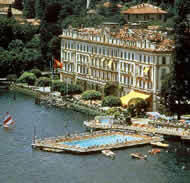 Here is a list of 1 star and 2 star Lake Como hotels in Cernobbio Italy for budget travelers. Many of these hotels are not centrally located and often the staff speak little English. 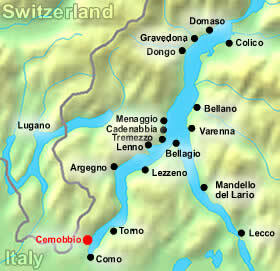 You can always use our maps to map out the address of Lake Como hotels.